Buy Leads | Ringless Voicemail Drops for 2 cents! Data Monster Does it better! Buy your customized leads in bulk and save thousands! Data Pulls are guaranteed within 24 business hours of purchase. Phone Verified Leads can take up to an additional 24-48 hours. If you need any special formatting other than Excel or CSV, please notify customer service toll free 1.888.420.DATA. We look forward to the opportunity to serve you! YEAR END CLEARANCE! 14.3 MILLION 2016 BUSINESSES ONLY $2,995! SPECIAL! 200 MILLION 2015 Experian “Opt-In” Consumer Database ONLY $2500! 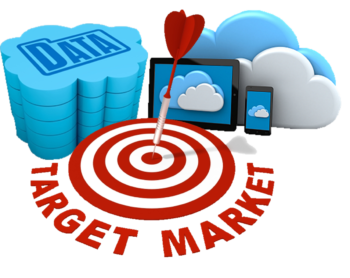 140 MILLION 2016 Consumer Database ONLY $3200! 100,000 = $2,500 *Price Break! Need your old data cleaned? Check out our cleaning services below. 100% Guaranteed to remove 99% disconnects. Clean up old data and turn it to gold! Ideal for old data, turn it new again! Clean up old data and turn it to money! *Please allow up to 24 – 48 business hours to receive data files. For express delivery please notify customer service toll free at 1.888.420.3282 Ext 102. *Please note: Data purchases start at $500.00* We offer 500 “Phone Verified” targeted sales leads of your choosing, as a Sample for a $50.00 deposit which will be applied to your purchase price upon ordering.